Atlantic City offers round-the-clock fun and excitement after the work and meetings are through. Year round, day or night, whatever you are looking for in a destination Atlantic City’s got it. Atlantic City features five miles of scenic beach and Boardwalk that you can enjoy at any time of the year. Take a stroll on the famous historic Boardwalk, bask in the glowing sun and take a dip in the Atlantic Ocean. Millions of visitors stroll, ride a bicycle or tour the Boardwalk on the famous rolling chairs. While in town, try your luck on the table games or slot machines at any of our 8 casinos. The Entertainment Capital of the Jersey Shore is at a high with comedians, concerts, and shows that will have you laughing and singing all night long. Shopaholics can shop til they drop at our tax free outlet shopping, Tanger Outlets The Walk with over 100 retail stores that won’t disappoint with incredible deals and just steps out of the convention center. Atlantic City is 60 miles from Philadelphia, 125 miles from New York, and 175 miles from Washington, DC. 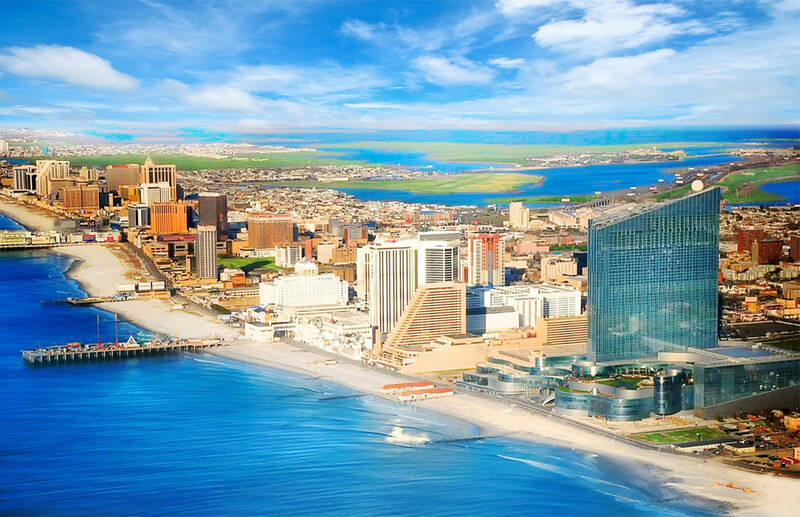 Any way you look at it, Atlantic City guarantees fast-paced excitement and non-stop year-round activities. Meet AC will be happy to help you locate the right space, assist with attendance building and housing, provide temporary staff, and help with all the details, including spouse activities, transportation service, media, and much more.